We all want good food, right? 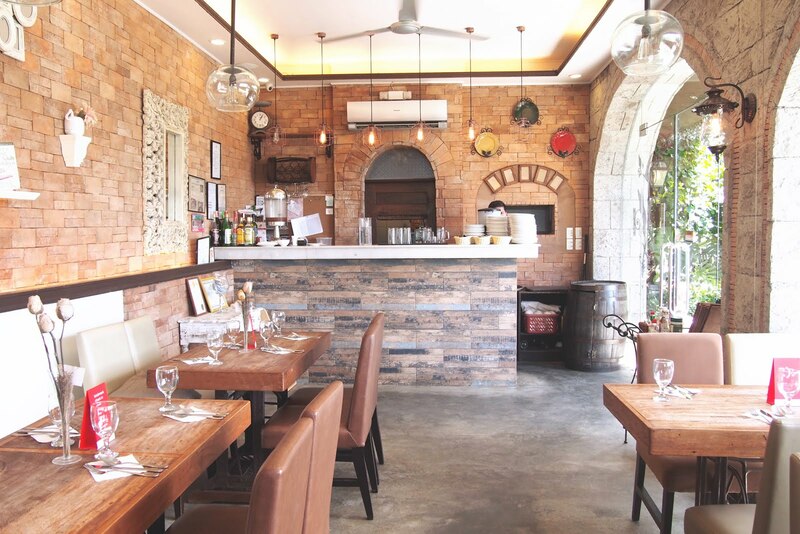 Over the years a plenty of food choices have surfaced along the Santa Rosa - Tagaytay Road. 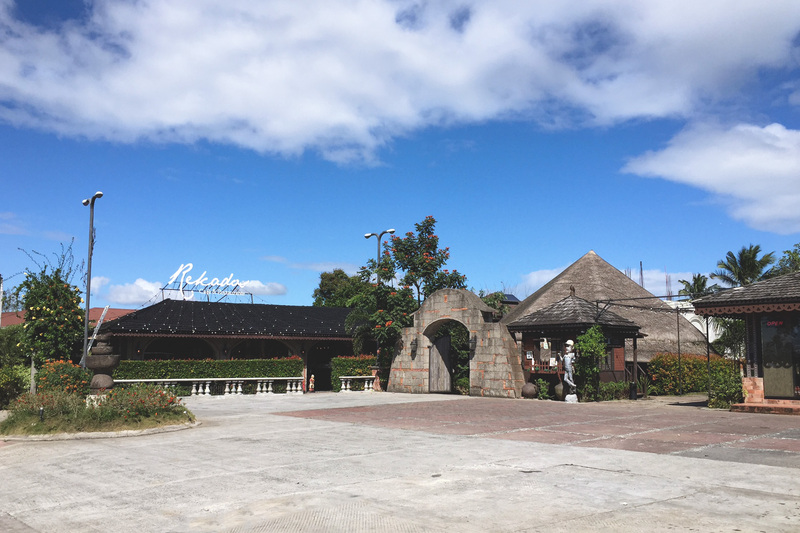 For people like me who just takes 15-20 minutes to get to the area, I’m happy and lucky to be near a place like Tagaytay (except during holidays/special occasions coz’ the place is now a little too crowded.. haha). 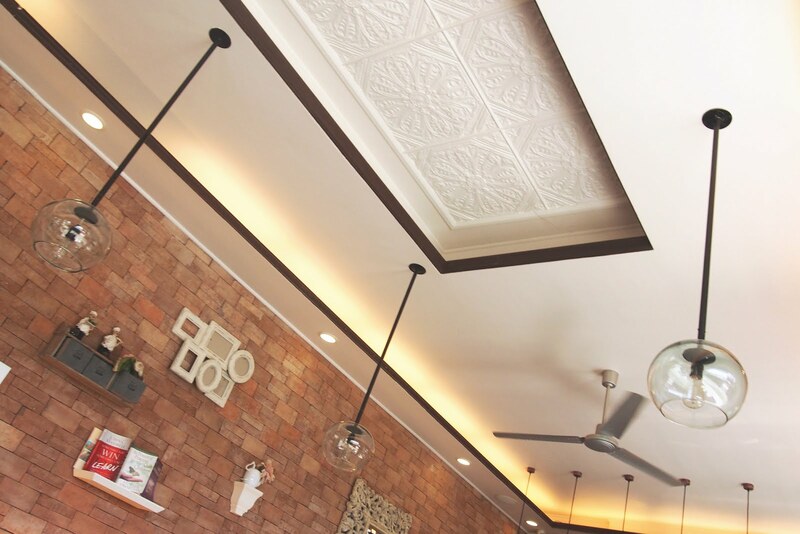 You know, there’s nothing like treating ourselves (specially if you’ve drove a long way) to scrumptious and delectable meals. 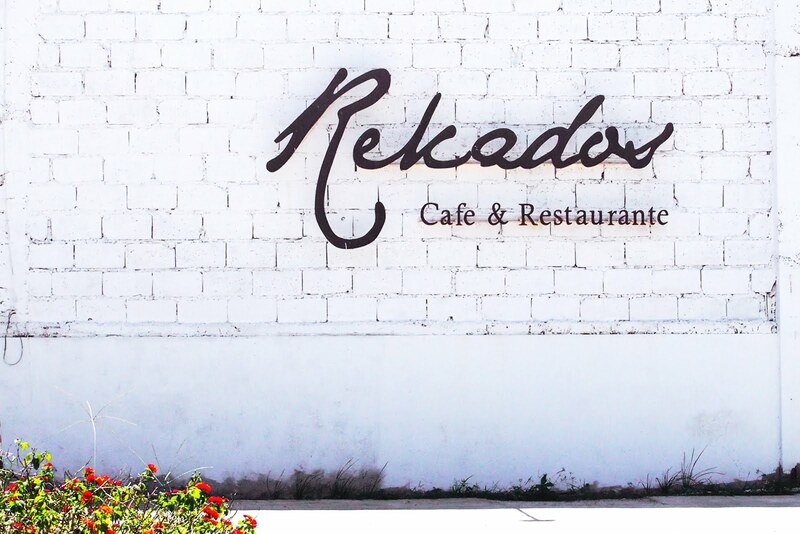 And over a dozen of food selection there’s always a must-try, something like Rekados Cafe & Restaurante. 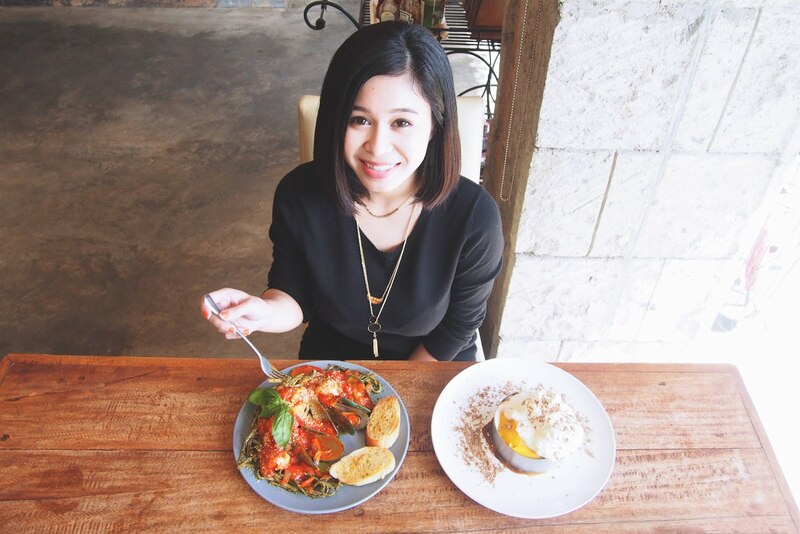 Just recently, I was blessed to visit and try some of the resto’s food. 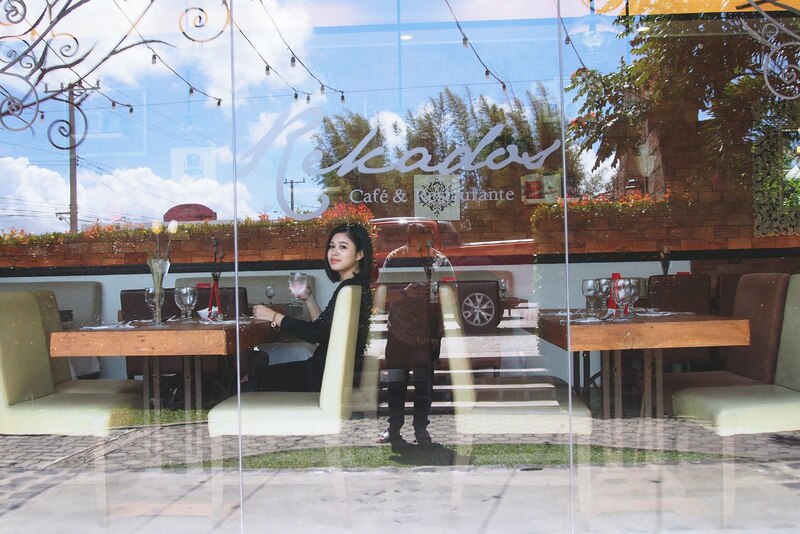 Keep scrolling to know more about Rekados Cafe & Restaurante and for food pics. 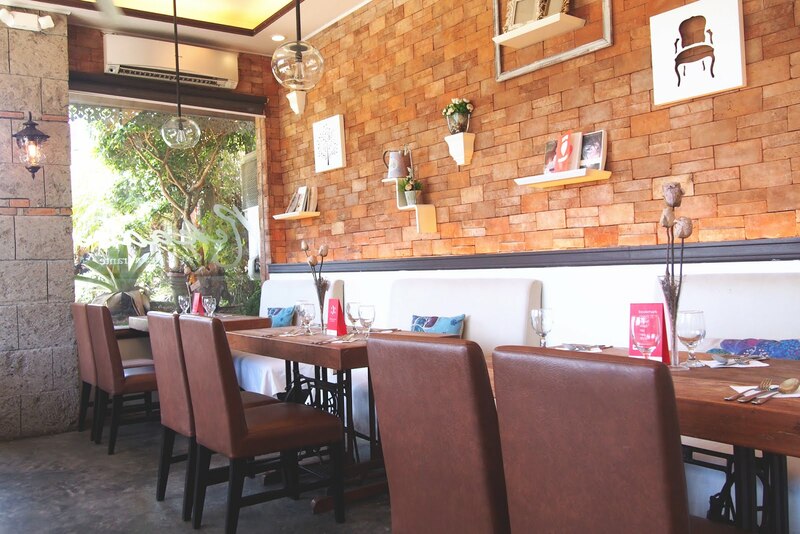 The beautiful bricked-wall & concrete flooring completes the homey & relaxing ambiance of the place. Four dishes for two people. 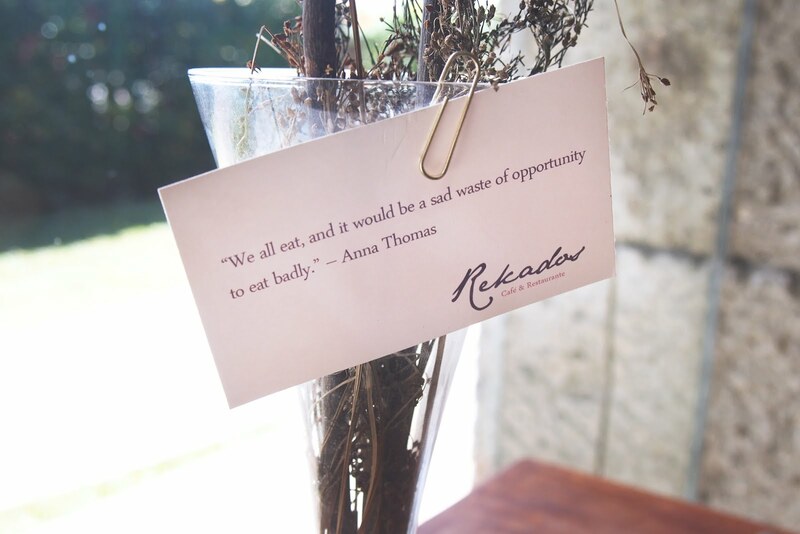 Most of the dishes on our table are Rekados’ recommendation/bestsellers (labelled with stars on the menu). 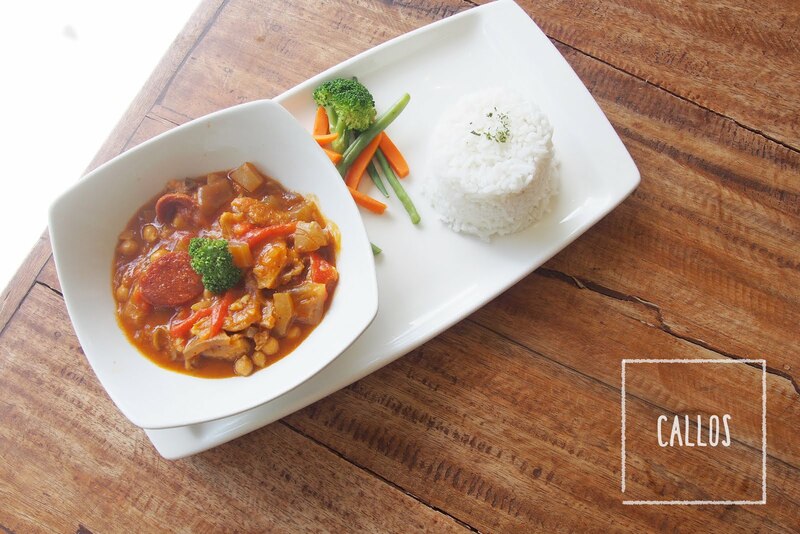 Rekados Lengua: Solo (P285) *in photo | For Sharing (582). 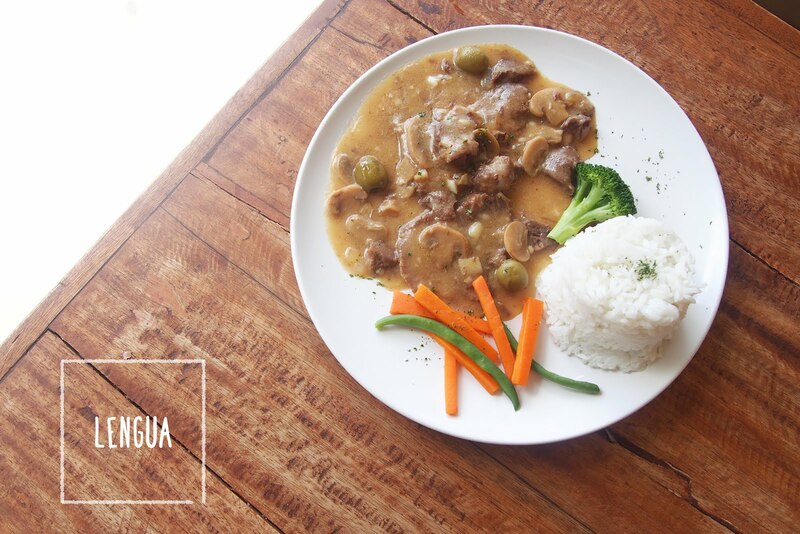 Lengua in creamy mushroom sauce with some veggies on the side. Melts in your mouth! Rekados Paella Valenciana: For sharing (P532). 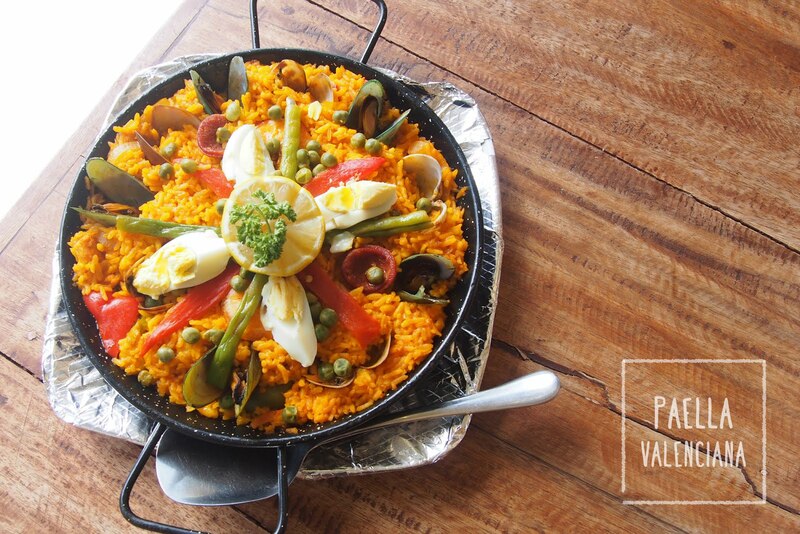 The traditional spanish paella and one Filipino favorite. The paella can be shared by appx. 4-6 people. It had a creamy and soft texture. Dig further in and shrimp lovers like me will find the treasure - shrimp! Lol. 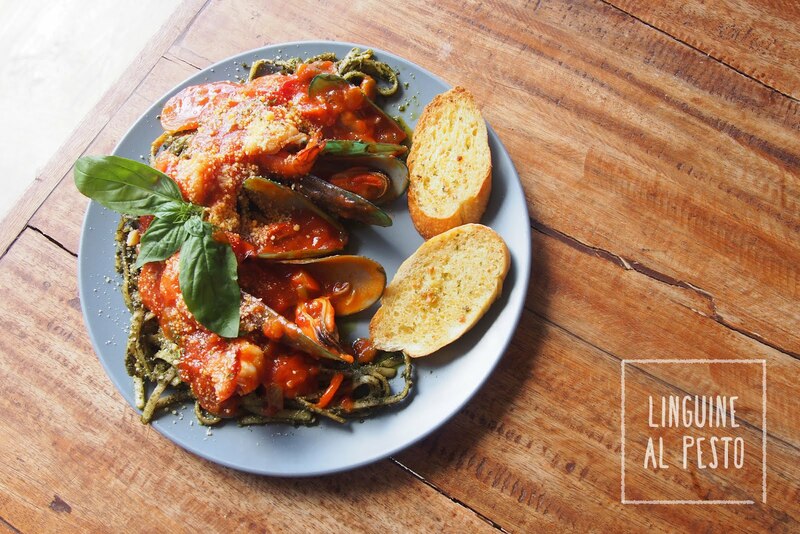 Rekados Linguine Al Pesto (P285). My personal fave! 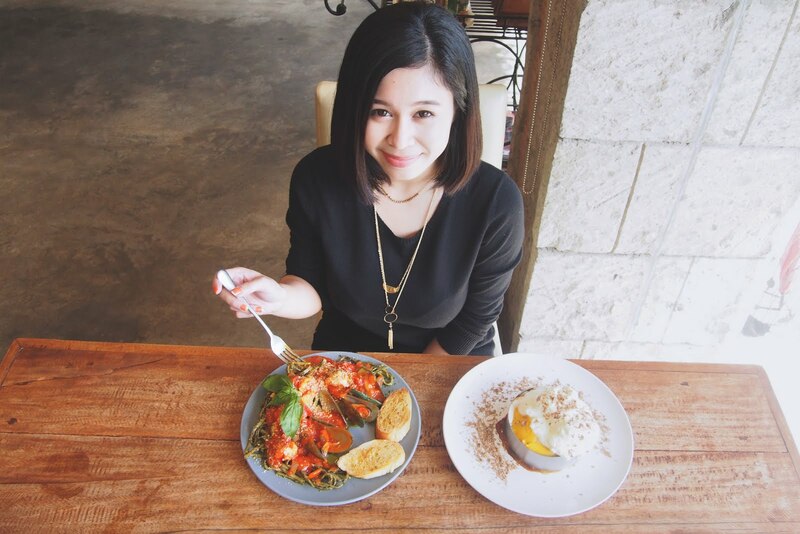 Knowing me, I’m already happy and satisfied as long as there’s pasta. 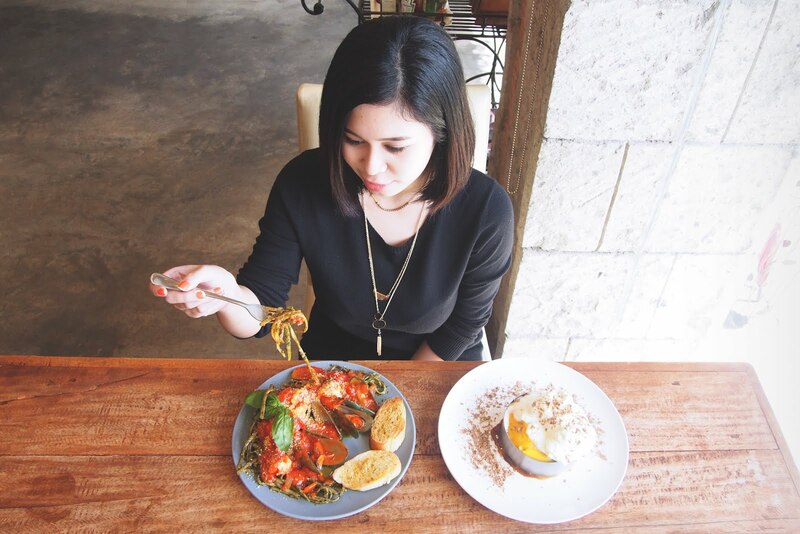 What makes the Linguine Al Pesto extraordinary is the mix of pesto with red sauce. Something new for me! I haven’t thought that red sauce would go well with pesto. Mussels and shrimps (ahh, shrimps makes me really happy!) were added to give flair to the dish. 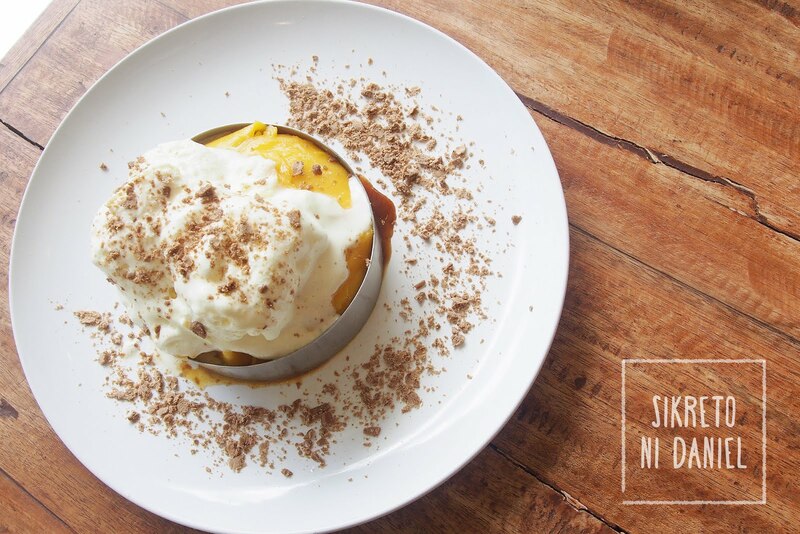 Btw, our server came back to remove the round silverware surrounding the “secret” dessert dish. Need I say more? 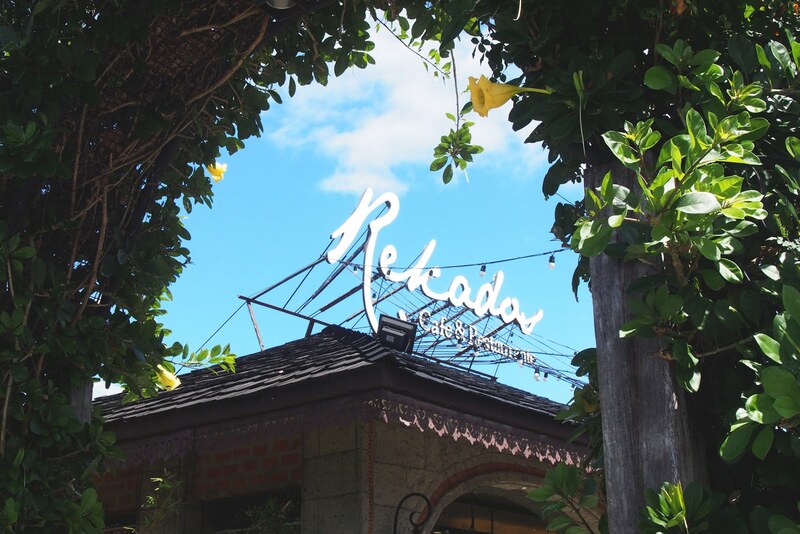 Rekados Cafe & Restaurante have it’s own charm that will truly make you fall in love not only by it’s beautiful & romantic interiors but also by it’s extra ordinary taste. Spot my happy pill’s reflection on the photo. Tagged Patrick along.. both of us agree that the place is not only a perfect date spot but also a place to relax and unwind away from the hustle and bustle of the city. 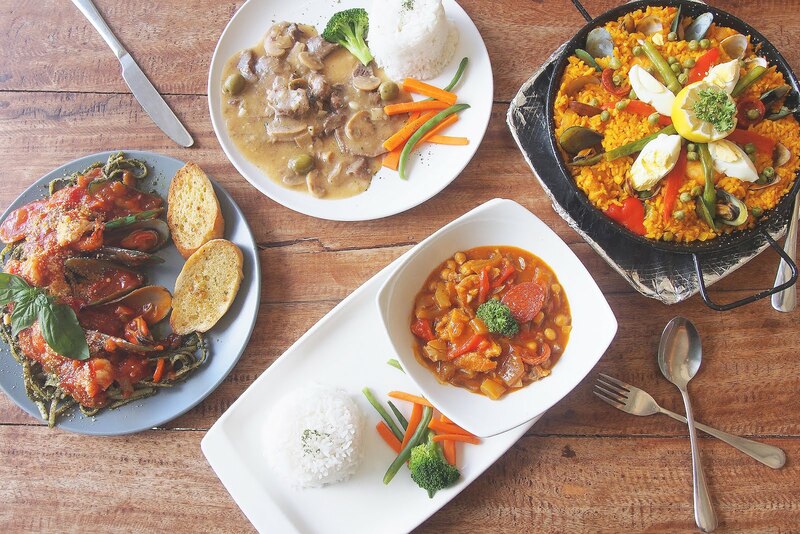 Where Spanish cuisine meets Filipino taste.